Black walnut is highly valued because its wood is beautiful and easy to work with. Yet many home-grown black walnut trees have deformities that reduce their commercial value. To sell a black walnut tree for lumber, you will need to find a lumber market nearby. You will also need to estimate the value and condition of your trees to determine if they are marketable as lumber. You can choose to do much of the legwork yourself or you can hire a forester to conduct the wood sale on your behalf. Estimate the size and condition of your black walnut trees. Measure the trunk's circumference. Estimate the height of the tree. Jot down notes on every walnut tree, plus a description of the tree's overall shape. Does it grow straight? Does it have visible markings? Photograph the trees. Call your county extension office and ask for the name of a reputable forester. A forester can appraise your trees so you have some idea of their commercial value. A forester will also recommend a secondary market if your trees do not appear to be worth much as lumber. Schedule an appointment with a forester and inform him of your estimates. Walk the forester through your walnut grove, asking his opinion on each tree. You might have seven black walnut trees, with five not suited for lumber and two able to command a top price. 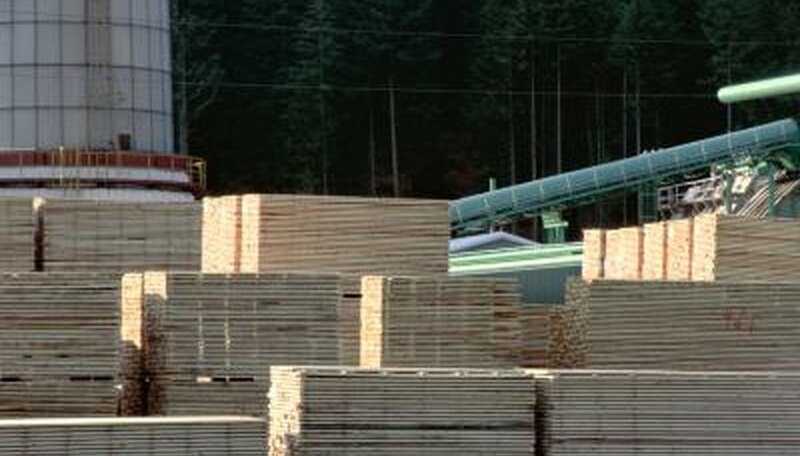 Make sure you understand the forester's estimate, especially if you intend to market the lumber yourself. Ask the forester for any recommendations on potential buyers. If you want the forester to conduct the sale for you, offer him the position. Also discuss the tree removal process. While the lumber company might pay to harvest valuable lumber trees, you will need to remove the other trees at your own cost. Contact any lumber companies recommended by the forester. Let them know you have valuable black walnut trees and are accepting bids. Provide them with images of the trees and other data, such as size. Wait for all bids to come in. Review the bids and select a winner. Call the winner to let them know they have won the auction. Discuss all details and draw up a contract for the sale.